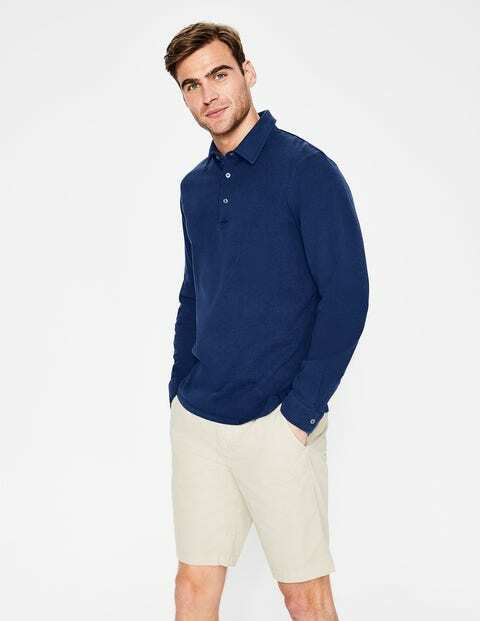 No wardrobe is complete without a versatile, long-sleeved polo. This one is in a lightweight, breathable cotton jersey with a textured slub finish that has been garment dyed for a lived-in feel. The sporty button front means it looks the part for a smart-casual look with chinos or dressed down with jeans.